Club Penguin Cheats by Mimo777 Club Penguin Cheats by Mimo777: Club Penguin Music Jam 2010 Free Item Cheats and Lots of Coolness! 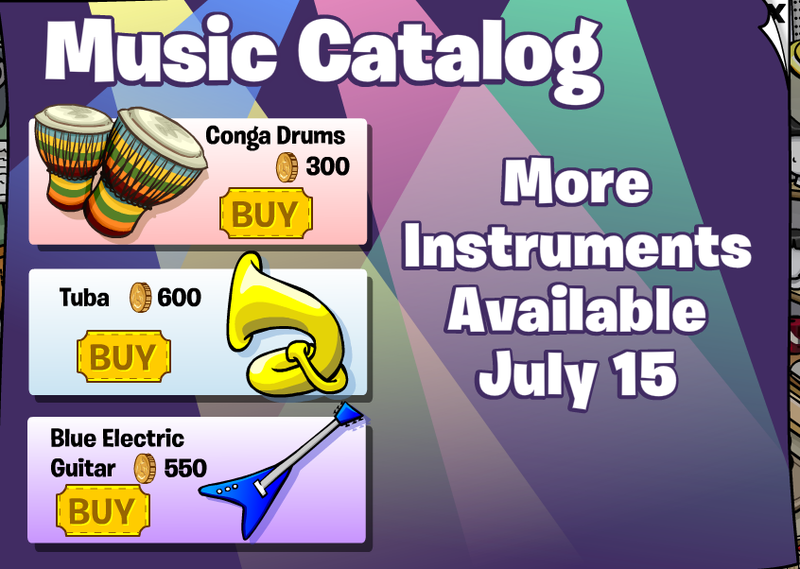 Club Penguin Music Jam 2010 Free Item Cheats and Lots of Coolness! WOOT! 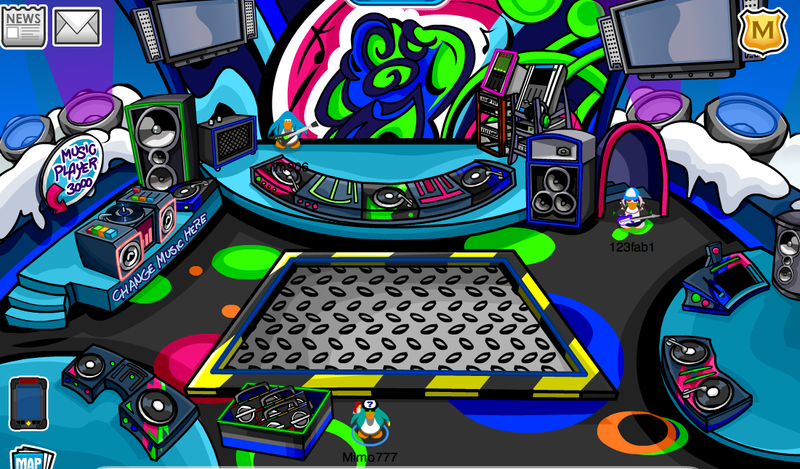 Club Penguin Music Jam 2010 is HERE! You can now go to the Backstage and Member only rooms. 1. Go to the Dock. You now have the Music Jam Shirt! 1. Go to the Night Club. 3. 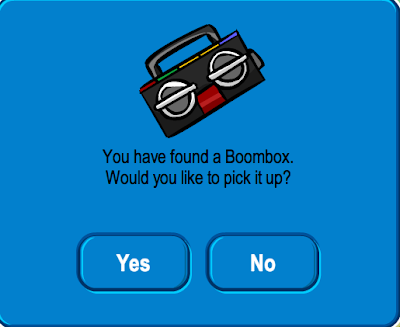 Click on the box of boom boxes in the left corner. 1. Go to the Cove! 2. Click on the box of Blue Headphones. This one is actually for ALL penguins! Woot! Check out the Music Catalog that can be found at the Backstage. It only has 3 items... for now! 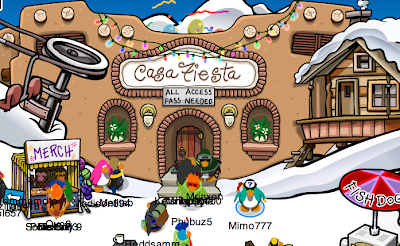 You can get to the Casa Fiesta through the Backstage or the Ski Village. 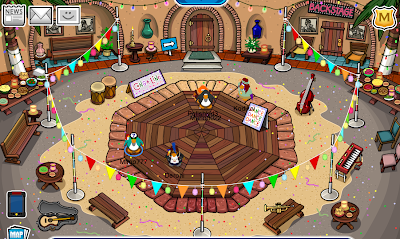 Don't forget to check the Iceberg for the Penguin Band! Lots of cool stuff... for members at least! =( What is your fav so far? I love the Coffee Shop! Super snazzy. And the dock has cool music, too. 8) What's the CPG's fave room? I love that Casa Fiesta! It's awesome! The bongos are cool, and I can't wait for more items! Also, for anyone who was asking, if you take the red shirt, then play with the guitar, it plays! It's awesome! awesome i got it and think its awesome. I just met cadence a minute ago!!! coolio! !lots of cheats but i wish there was more new stuff rock on!! hey mimo you can play guitars and keytars while using the new music jam shirt! Aw just one free item for the non-members :\ i really need to be a member. im glad there is something for nonmembers- sure its an old item, but i wasnt on club penguin for the first time you could get that item- so i dont have it! i will beg my parents to give me a cp membership as an early bday present!!! ugg i hope they say yes! Dont forget the t-shirt booth, which is really cool. Wow Mimo, I'm impressed. 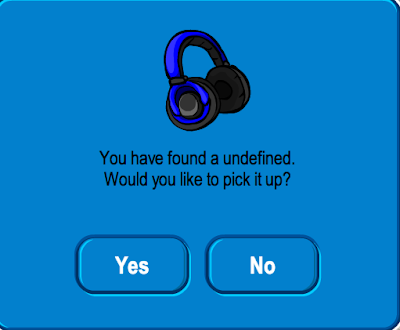 I was on Club Penguin when it changed into the Music Jam, so I logged off, logged back on(so none of the items would be undefined) and checked here, and you had already posted! Keep being awesome Mimo! i got undefined too. If you dance with the music jam shirt and a guitar, you play the guitar. Just like he newspaper said! I'm not so sure if I have a favorite: but If I had to pick one, it'll be the Backstage. They also did a LOT for members: maybe to get more people to join. But I think that the more the members, the more the better CP is. cadence has a new background! It stinks that theres no "Orca Staw" room this year it was the best room! If I had to chose between 1.orca straw or 2.casa fiesta it would be #1! can any one else not get into the music maker 3000??? when i ever i walk into the enterance, i lose my connection!!! I like all the member stuff I think people should spend five to get a one month membership it's worth it! I have a question. On the roof everyone is saying get off the metal because Candence is under there. Is it really true? I like the Night Club the best! Also, thats a good question. Lets stalk them and find out. 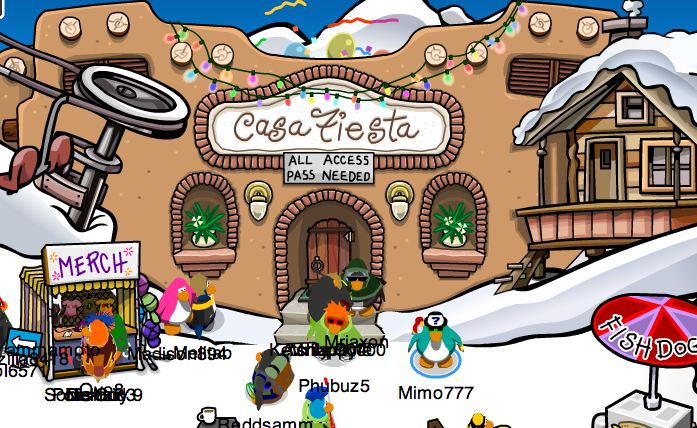 Mimmo, you have got to try throwing a snowball in Casa Fiesta! You can "Celebrate" throwing those snowballs. More! More! Need more! I hope they come out with a taco instrument! Tacos make good toothpicks! Yea, I saw that. I think it plays with a couple other shirts too. Oh cool. Im gona have to look for her. Keep rocking out to da beatin music speakerz! Yea, you can play guitars with the new shirt. I havn't tried Keytars yet. I'll have to try it. If your talking about the Blue Headphones, they're completely new. They have had older headphones. One is green and looks like the blue ones. And one is really old and it's gray. Hopefully you get that membership! lol, yea. Those are the Penguin Band bots. Soon the real ones should be hanging out at the Backstage and stuff. Yea. They're just for fun. They make your penguin look cool though! Yea, I think it works with a couple other shirts too. Try some. He's a member. He just wears non member items. He used to be a non member most of the time but Club Penguin started to get alittle more member friendly and he became a member. I tink dats how it goes anyway. No, I can get in. Weird. If it keeps happining try clearing your cache. No, thats is a false fake rumor. 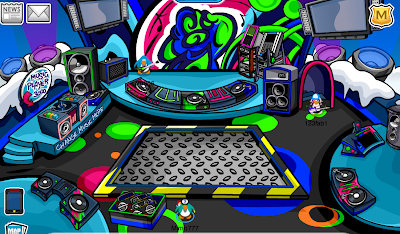 I don't even know how it got started but it's been around sence the first Waddle On Dance A Thon party that happened in January of 09 when Dance Contest first came out. I never believed it and Club Penguin posted on the blog that that rumor was fake. But keep looking for her and you'll find her. i like the snow forts and the party is awsome. but ive been wondering, why dont they make hats that have secret dances anymore? Coffee shop is my favorite, or Ice Berg. 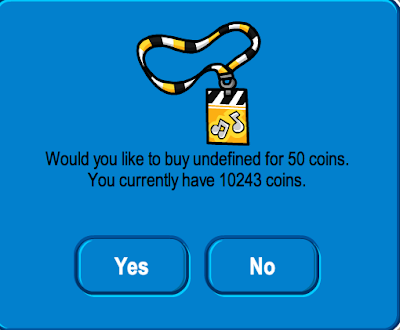 I think the non-members should at least get more than 1 free item! You should be able to get at least 2 shirts, and 3 instruments! I like the new glitch. If u put on a music jam t-shirt and guitar, then dance, the shirt throws a snowball! COOLNESS! I don't know bout Mmo but my favorite room is the Nightclub Rooftop! Last time the headphones were green but now they are blue! I'll try that out, nice noticing! They do look freaky but they are just robots. Lucky ducky! It's totally awesome! Club Penguin allows him to get in even though he's not a member. I love the t-shirt booth! Too bad I have all of the shirts because it was there last year. That's cool how you were on when it changed! No it's not true! Just a rumor! I'm able to get in! I agree! I can't wait for more items! Question! When are mod changes coming? I've been looking at the list, and I see a lot of mods that haven't been modding! Mimo at the Casta Fiesta if u throw a snowball you throw confetti instead!! Does the music at the stadium sound like a real life band? Or is it just me? 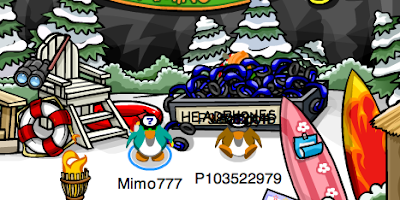 Mimo, dude, you forgot the Music Maker 3000 at the Snow Forts! Rock and roll, dude! My favorite is the forest! The western theme is the coolest one! I think Mimo is a member. Remember billybob gave him a membership. I think it would be really fun to be a member! mimo when r u posting the caption contest winners? I truely dispise people who say that moving off the metal will bring candace and if someone doesn't they say "I will report you for not getting off".There needs to be a report for someone saying they will report you for no reason. Anyways I like all of the party as Music Jam is my favorite party. 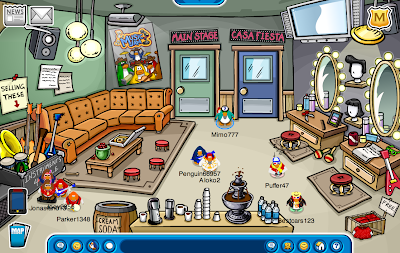 I like the pizza parlor! Rock n roll! So that's what undefinedes look like. Ur awesome, Mimo! The music shirt that you get at backstage lets you play an instrument while ur wearing it! Try it out! and ... whats up with the band ? i cant click on them and they are everywhere!!! :( its just a decoration! soo... how can i have this background of the band ? 2. Now and then in club penguin, there are too many member rooms. Oh, COME ON! Pardain my portuguese but Blue Headphones?! REFUND! I do not like anything. There are only stuff for members! My b-day is on Sunday woo hooo! 11 July is my b-day and im gonna get membership! kewl santa im gonna try that out i heard someone say it at a point but forgot thanks for reminding me! mimo, did you know that it's cadence not candence? it is! i have her backround and her signiture says cadence! Mimo did you now if you throw snowballs they explode into confetti at the casa fiesta Goldy125/Bat354 chobots. 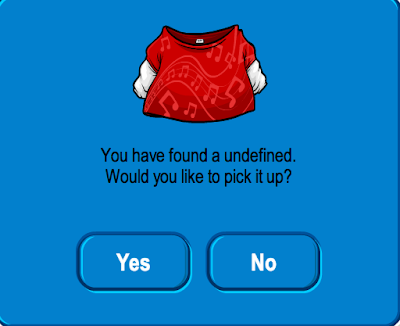 Theres a glitch with the new shirt and instrument combo. When you dance with the shirt and guitar, the shirt moves like your throwing a snowball. awright!! this years jam is pretty awesome, i think. 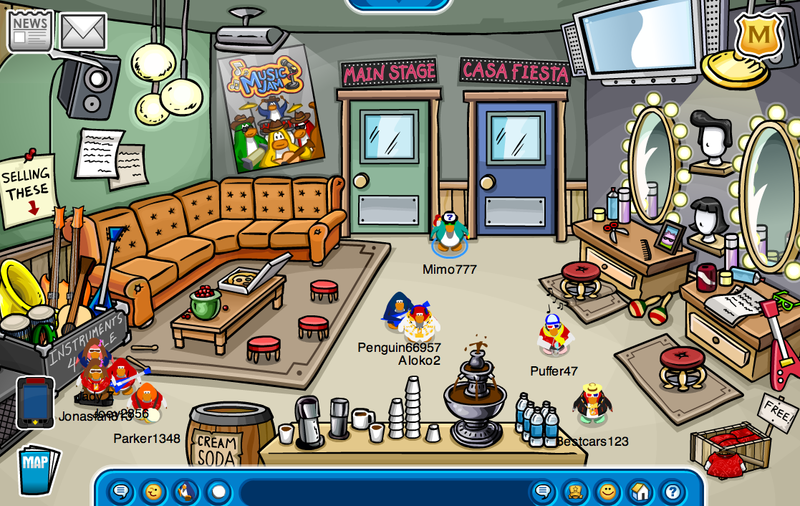 i wuv all the member rooms and items and i really like the coffee shop. i think this is CP's best music jam so far, dontya think? IF you throw a snowball in the fiesta room it turns into confetti! Well its my interpretation that Mimo is a member, he just doesnt buy member clothes and wear them. He probably became a member purely so that he could post all the things that only members get to do. That way, he would be on top of everything going on with club penguin! 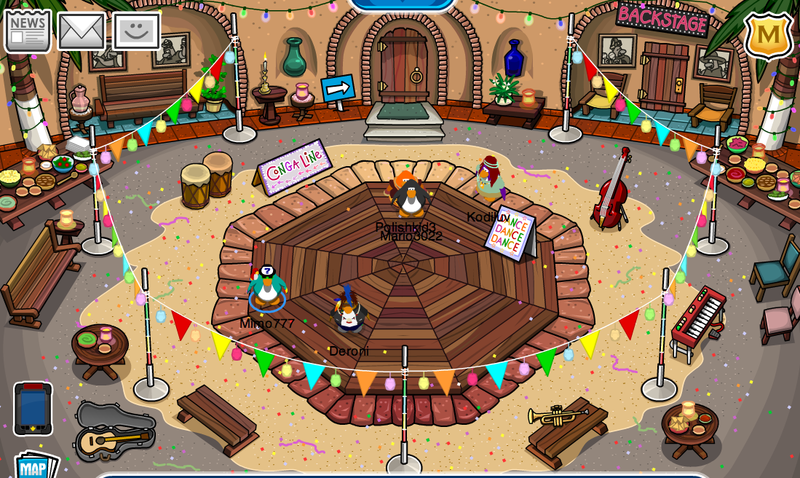 as for the penguin band, yes, the ones at the ice berg are just for decoration. The only way to get the backround is to meet them backstage on the right server at the right time. You can use Mimo's tracker to help. Hopefully your a member, because if you arent then you wont be able to see them,because they only go backstage. Hope this helps, and good luck! I'm pretty sure that CP is starting to make things more exclusive to members. They're trying to make it seem like CP is only fun if your a member. This way, non-members get more tempted to pay them 5 dollars a month. This is probably their new strategy to get more money.. to make the game seem funner for members than non-members. Sooo, there ya have it!! Love the Coffee Shop! It's sick! I want to give you another glitch! You know how now you can combine shirts with guitars now? Guess what?! If you go to the Dock and somebody's playing an electric guitar. You have to look very closely at their shirts. They're THROWING INVISIBLE SNOWBALLS!! Check it out before this is fixed!! Coll. atleast they change the color of the headphones. I can't get the rest of the items. mimo if you are not a member how did you get into the member rooms ? mimo do you ever like change outfits in club penguin even for holidays and stuff? HEY MIMO AT THE SNOW FORT AT THE BOOTH FOR THE TSHIRTS AND ACCESS PASS THERES A SIGN SAYING NEW AND ABOVE THAT IS A BOX U CLICK ON IT AND IT OPENS NOW WHAT?